Over half-a-dozen years ago, Brookings Institution analysts, Susan Helper, Timothy Krueger, and Howard Wial, asserted, “Manufacturing matters to the United States because it provides high-wage jobs, commercial innovation (the nation’s largest source), a key to trade deficit reduction, and a disproportionately large contribution to environmental sustainability.” Those arguments still hold. Nevertheless, over the past few years there have been some significant changes in the manufacturing sector, including the maturation of additive manufacturing and the emergence of the Internet of Things (often referred to as the Industrial Internet of Things (IIoT)). 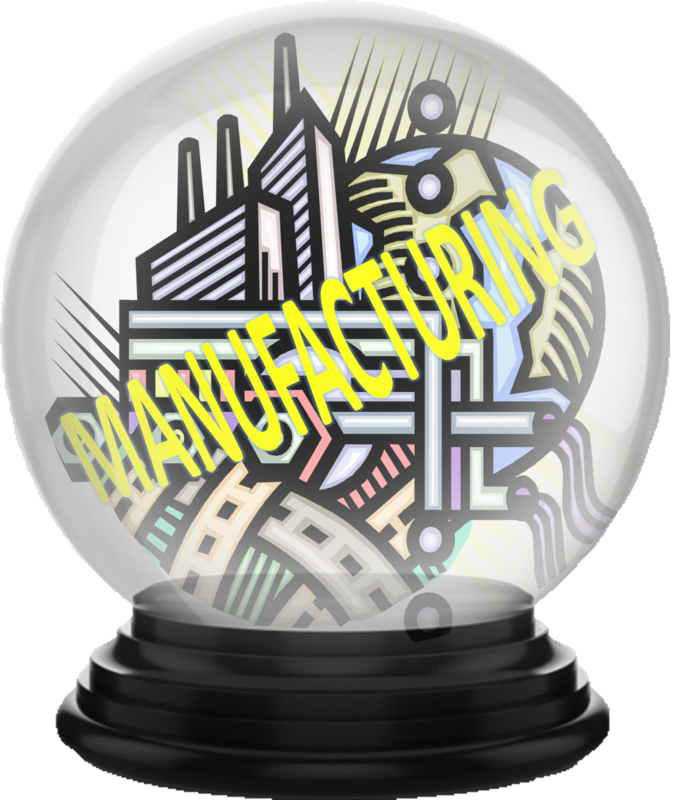 Below are some of the predictions pundits are making about how the manufacturing sector will change in the years ahead. The changing manufacturing environment is often described as Industry 4.0 (i.e., the fourth industrial revolution). Jesper Bennike, CEO of GateHouse Logistics Company, notes, “A gamut of new Industry 4.0 technologies that interact, communicate and create lakes of vital freight information is now entering the supply chain and these will be instrumental in bringing about the smart supply chain.” The smart factory is a huge part of that smart supply chain. Industry 4.0 is about transforming Industrial Age enterprises into the Digital Age enterprises. PwC analysts conclude, “The primary aim at this point should be to get out in front of the digitization trend via strategies that let you free up capital to invest in emerging technologies that will enable a potentially significant revenue stream in the future.” The future of manufacturing is exciting and, as a new generation of workers sees it as more than blue-collar work, the manufacturing sector could entice some of the world’s brightest minds to join it. Susan Helper, Timothy Krueger, and Howard Wial, “Why Does Manufacturing Matter?” Brookings Institution, 22 February 2012. Haylle Sok, “Industry Trends fro 2019,” Global Trade, 27 November 2018. Staff, “Advanced Manufacturing Trends In 2019,” CB Insights, 2018. Louis Columbus, “Top 10 Manufacturing Trends For 2019,” IQMS Manufacturing Blog, 29 November 2018. Shailendra Singh, “Five Megatrends That Will Disrupt Every Industry Over The Next Five Years,” Forbes, 27 September 2018. Colin Masson, “The 6 trends that will define intelligent manufacturing in 2019,” Microsoft Industry Blogs, 19 October 2018. Joanne Phoenix, “Top 10 manufacturing trends for 2019,” Manufacturing Global, 7 December 2018. Marian Mueller, Steve Eddy, Reinhard Geissbauer, and Barry Jaruzelski, “Industrial Manufacturing Trends 2018-19, Strategy &, 2018.